Fans of co-op are likely fans of Traveller's Tales LEGO series of games. The titles, based on famous series like Batman, Star Wars, and Indiana Jones, feature two player co-op. LEGO games are, unsurprisingly, quite kid and spouse friendly, but at the same time enjoyable by your more typical gamer. Several rumors about the next game in the LEGO series have been floating around. The most popular rumor was that LEGO Harry Potter would be next, what with the release of the next movie in the series this summer. A LEGO version of Potter's wild wizarding world would seem both a natural fit for the franchise, and a way to pretty much print money. 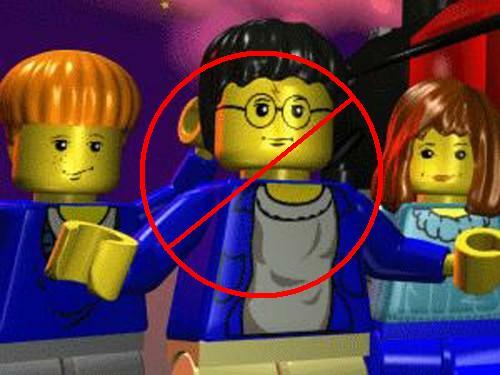 It seems 2009 will not see the release of LEGO Harry Potter, though, according to a senior source from Eurogamer. But a new LEGO game in an old series may be an option. "You never know," he (TT producer Loz Doyle) replied. "There's always the possibility that we would revisit a franchise. And you never know, it might not be the end of Star Wars, it might not be the end of Indy - we keep our options open." Producer Nick Ricks added: "There will be a LEGO game in 2009. And I think it's okay to say that you'll be a bit surprised." The fourth Indy movie wasn't part of the first LEGO Indy title, so perhaps that is a possibility. As far as Star Wars goes, there's plenty of source material to consider. Personally, my money is on LEGO Clone Wars sometime this year. Which is too bad, because LEGO Harry Potter would be far better. The series is getting somewhat stale at this point, and revisiting old franchises would seem to be more of the same, wouldn't it? What new series of LEGO games would you like to see? Page created in 0.8101 seconds.